Citra Vini, an association of unified wineries in Abruzzo established in 1973, covers a lot of ground in Chieti. The winegrowing group is located near the Majella, a limestone massif in the Apennine mountain range, Gran Sasso - the highest peak around - and the Adriatic Sea. 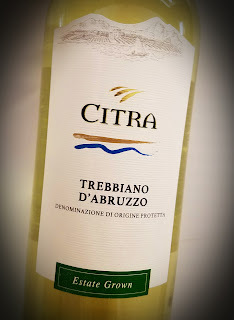 Their website explains that the Trebbiano grape goes by a number of names, each one utilizing the area in which the grape is grown. The Citra umbrella shades a lot of labels, and this would appear to their bargain brand, as it sells for less than ten bucks. There was scant information available about the wine, but a winemaking team of 19 worked on it, so at least they had a lot of experience in the cellar. Alcohol hits a reasonable 12% abv. 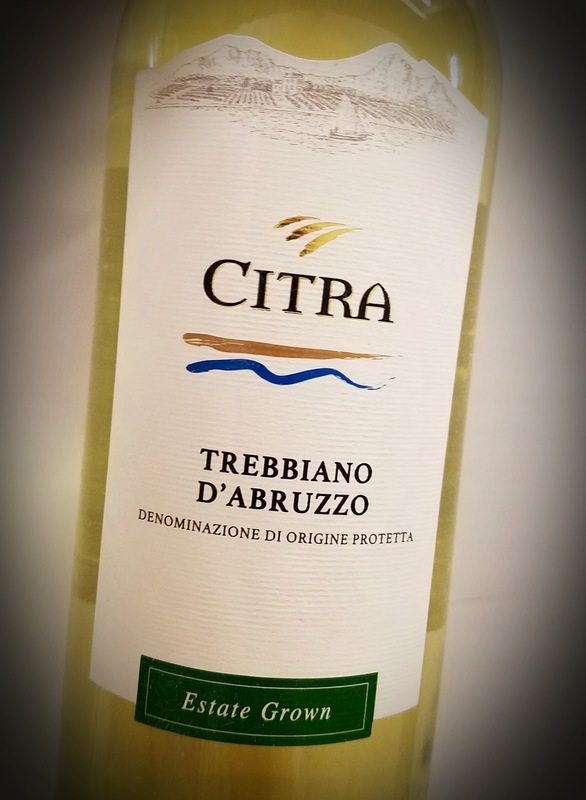 The 2017 Citra Trebbiano d'Abruzzo barely colors up - it's a very pale gold green in the glass. The nose gives off soft floral notes with a hard edge of minerals. 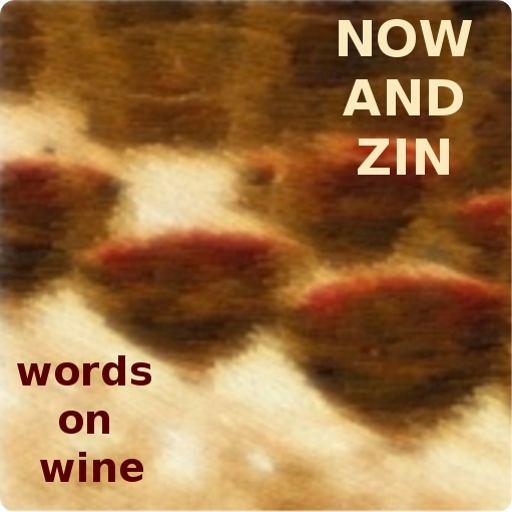 The palate is tart and refreshing, with apples, earth and those wonderful minerals. A great acidity leaves the mouthfeel crisp and dry. Have it with oysters or crabs.